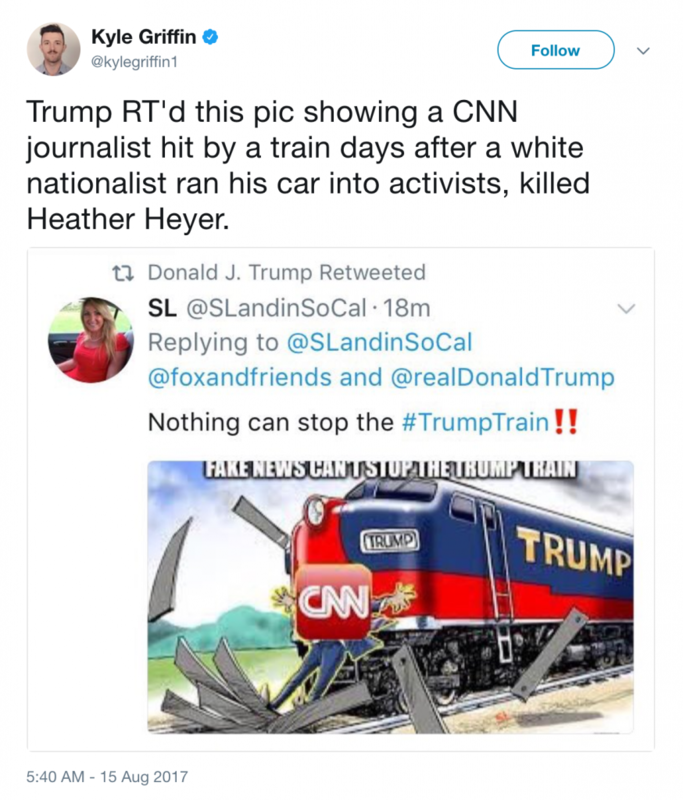 Early this morning, just days after a white supremacist drove a car into a crowd in Charlottesville, Virginia, killing a woman, President Trump retweeted an image of a Trump train running over a CNN reporter. The image was originally posted by an “alt-right” conspiracy theorist and Trump fan. Trump quickly deleted the post after it sparked criticism as being highly inappropriate just days after the Charlottesville violence.